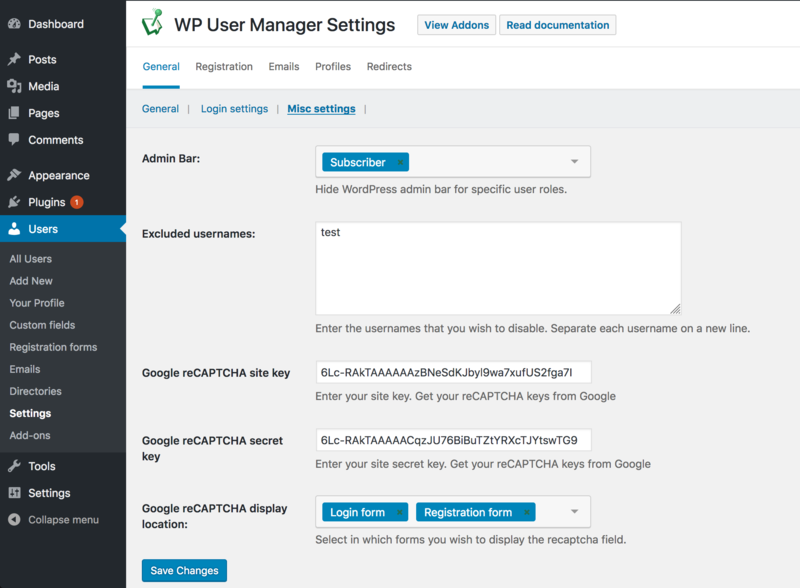 Now that you have generated your reCAPTCHA api keys, you will need to save them into the WPUM plugin settings panel. Navigate to "Users -> Settings -> General -> Misc settings"
Copy and paste the api keys you have previously generated into the respective settings "site key" and "secret key". Select in which forms you wish to display the recaptcha field from the "display location" setting. You can select one or more forms.